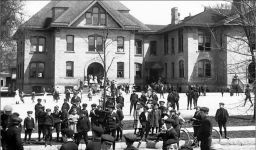 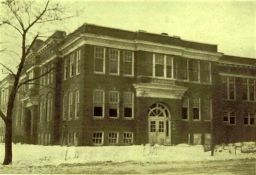 Our collection of photos of our schools through the years. 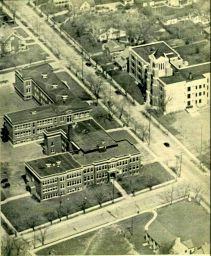 The source of most of these pictures is from yearbooks. 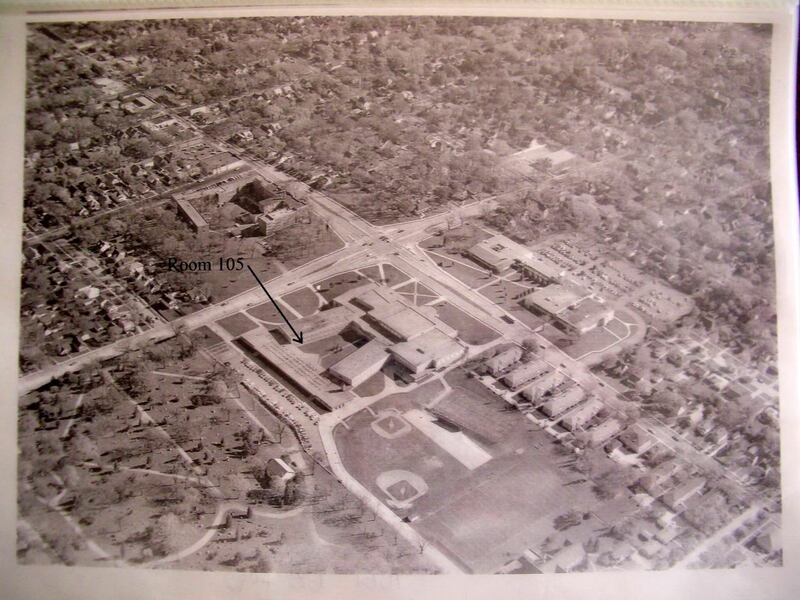 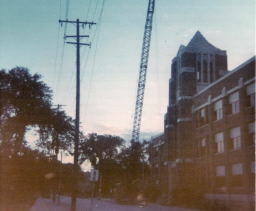 Before September of 1961, Tosa East was Wauwatosa High School. 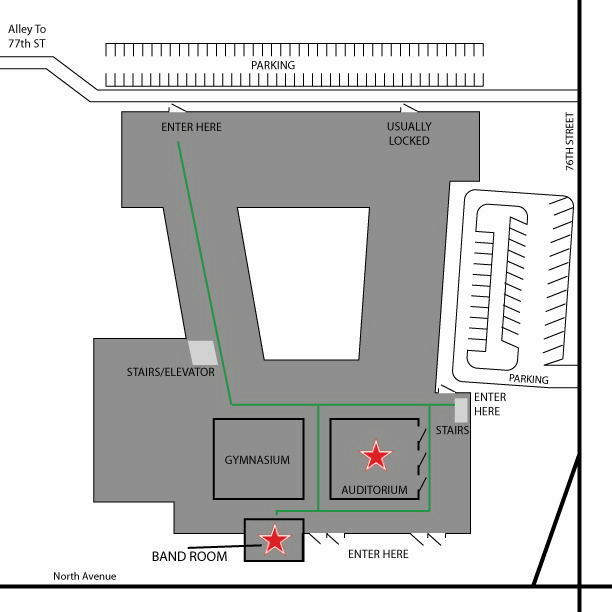 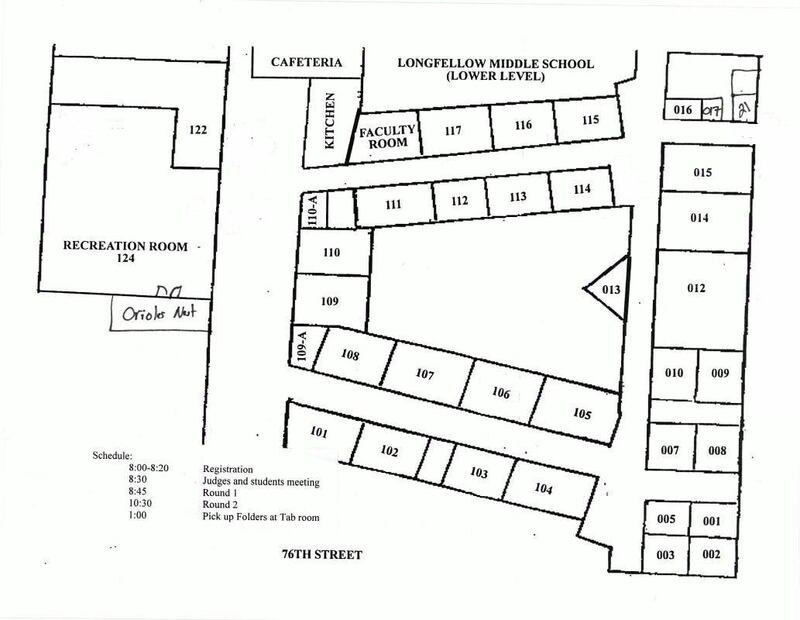 Does anyone know when Longfelllow became a middle school? 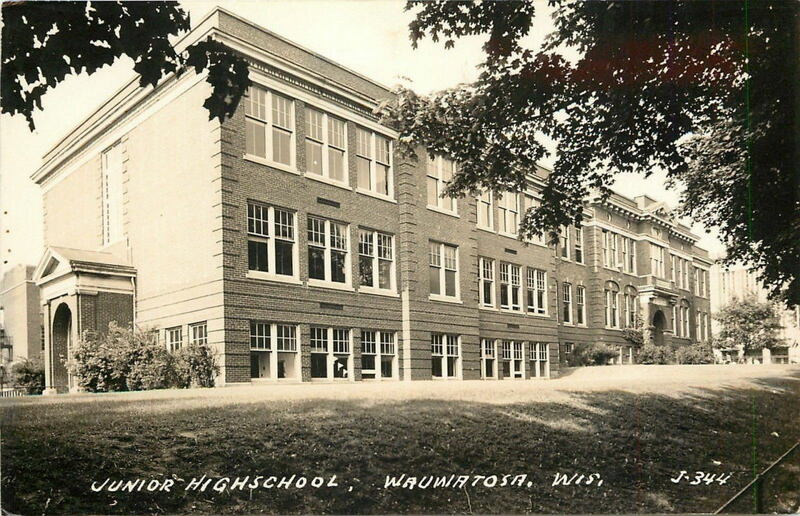 From the book, Images of America - Wauwatosa. 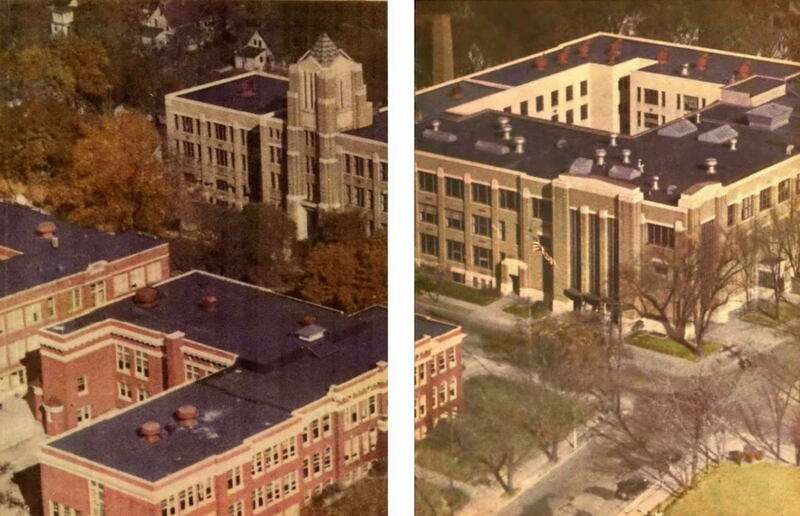 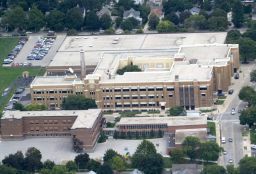 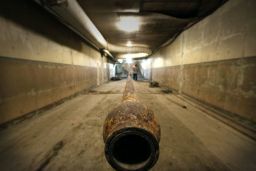 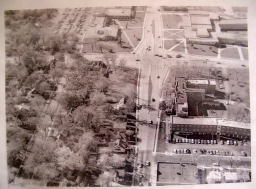 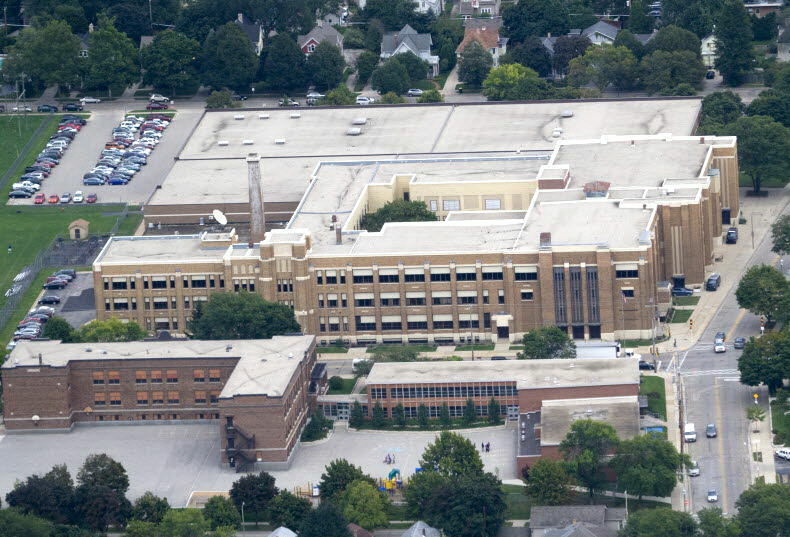 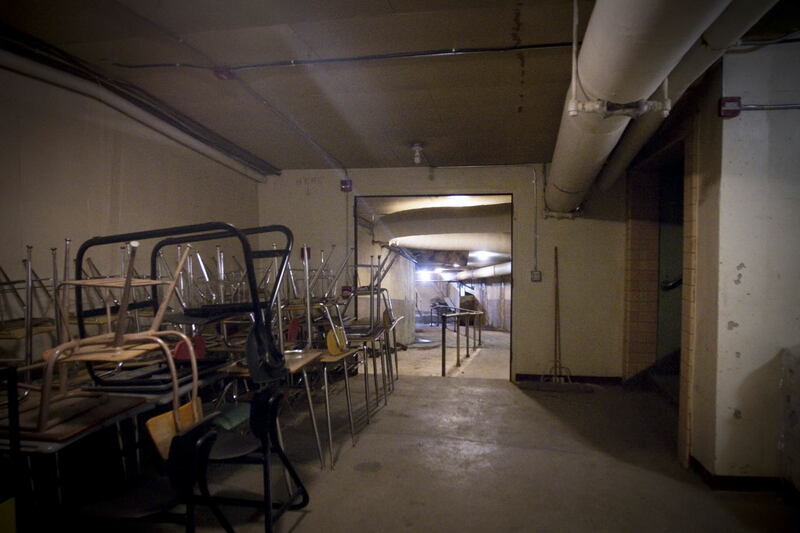 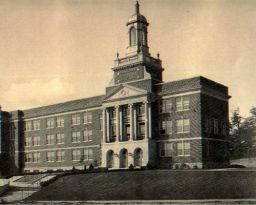 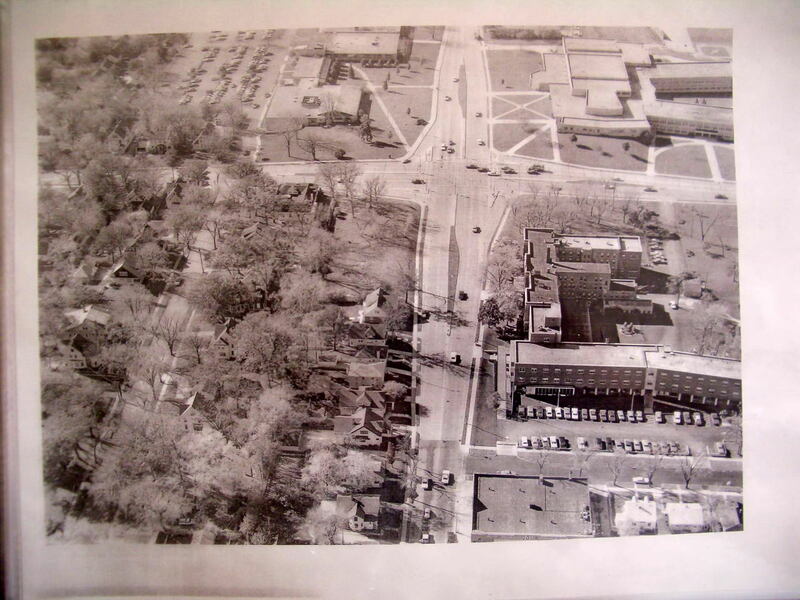 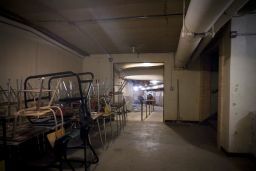 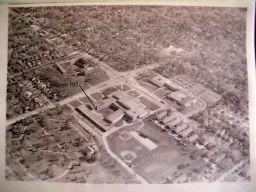 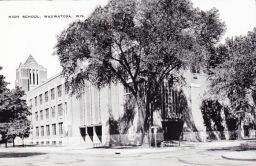 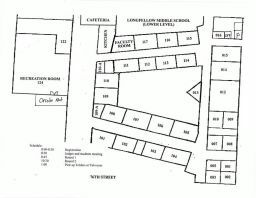 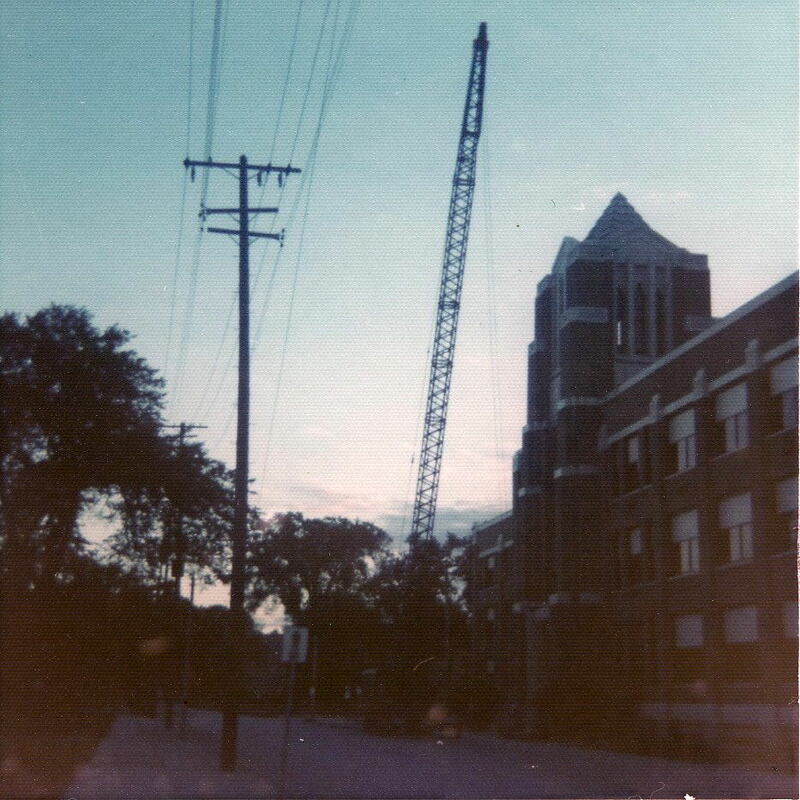 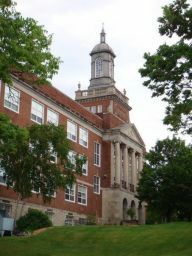 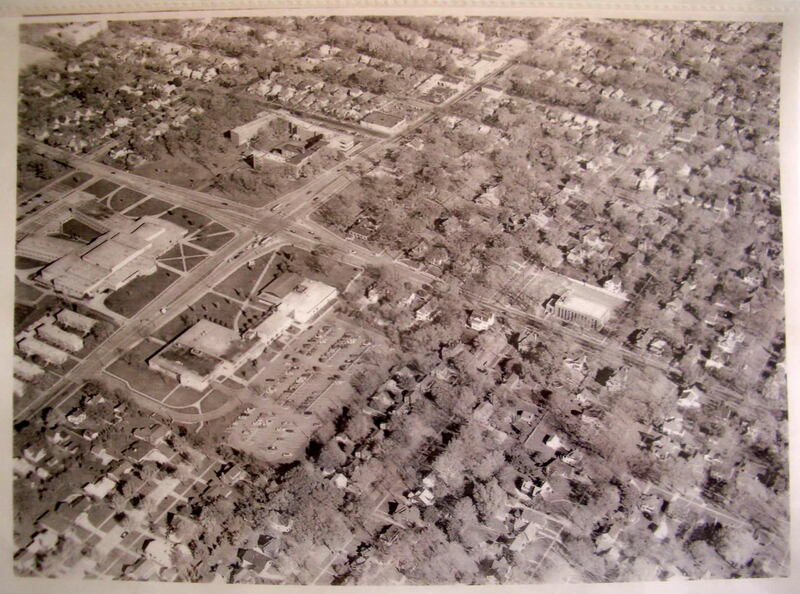 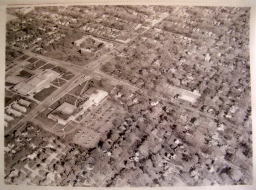 "Increased numbers of students led to the construction of a new Longfellow Junior High School at Wauwatosa and North Avenues; land was cleared in 1955. 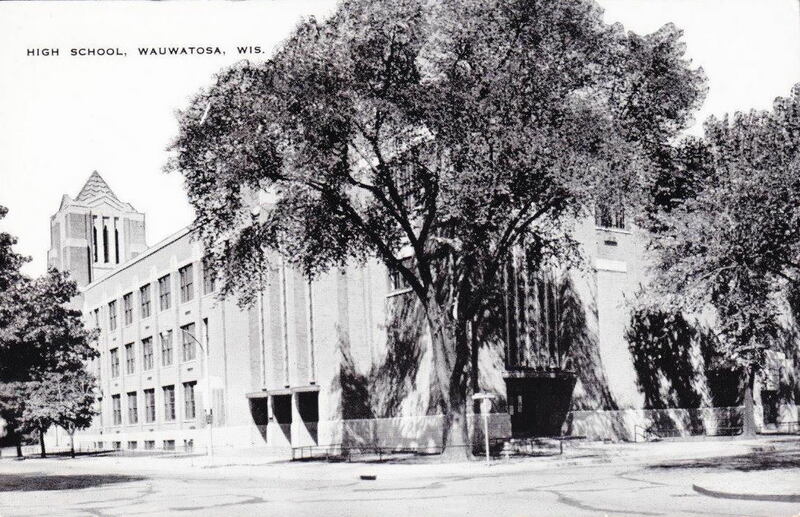 In an act of early historic preservation, a log cabin built in 1880 by Frederick Underwood was moved from the site, at 7720 W. North Ave., to 2515 Wauwatosa Ave. for commercial use. 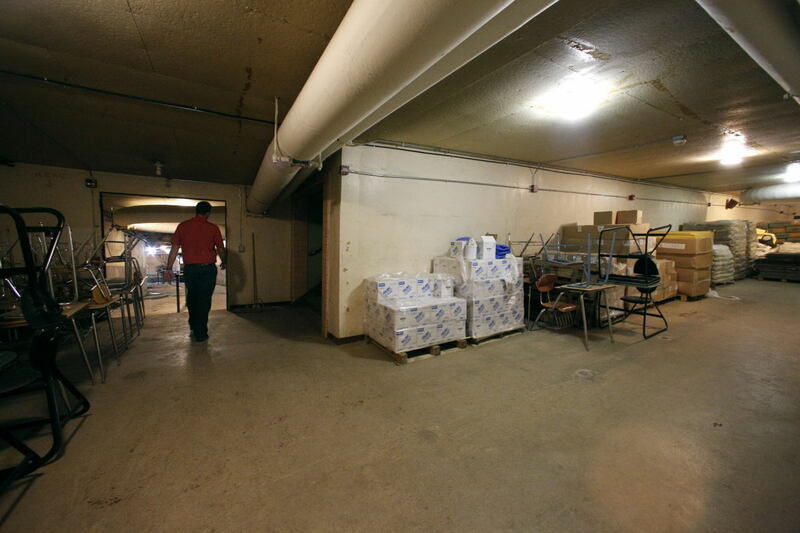 It sits on the location of the former greenhouse and floral shop operated by florist John M. 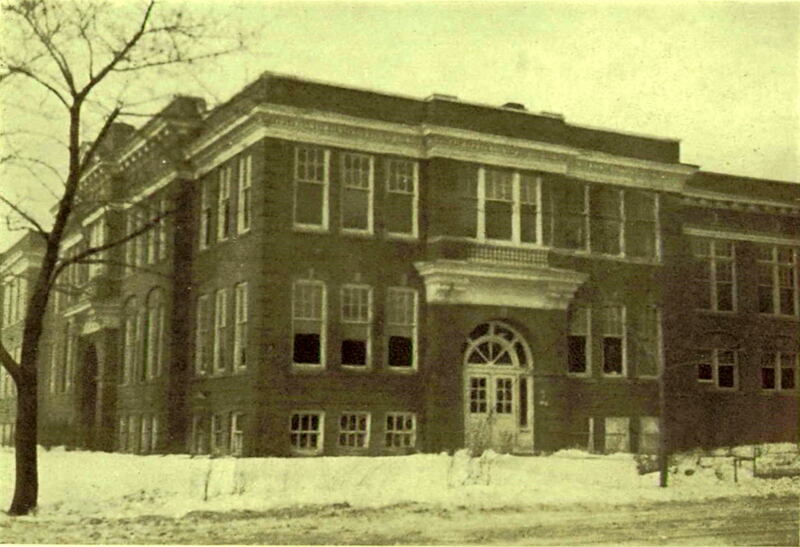 Dunlop." 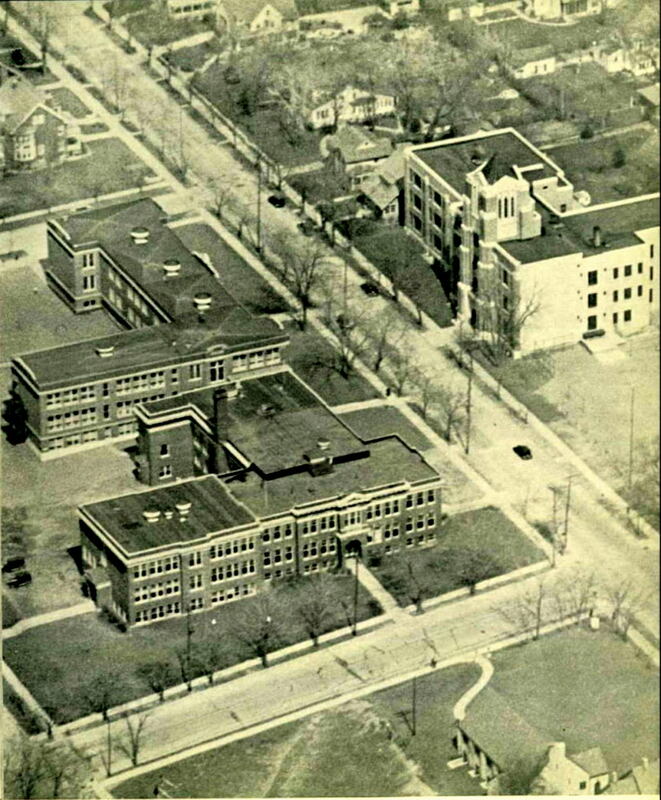 The source of most of these pictures is from yearbooks. 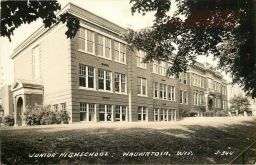 From the book, Images of America - Wauwatosa. 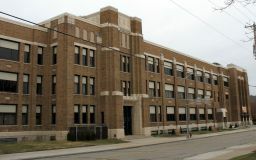 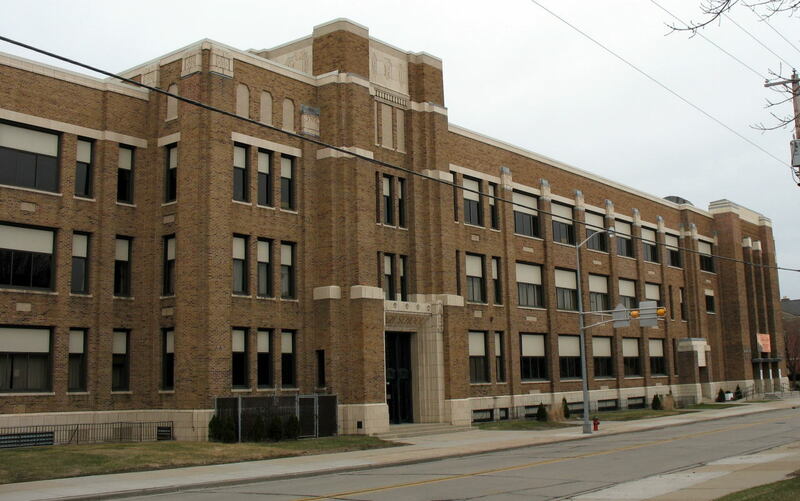 "To ease overcrowded conditions at Longfellow Junior High School, Hawthorne Junior High was constructed in 1931 at 7700 Portland Ave. 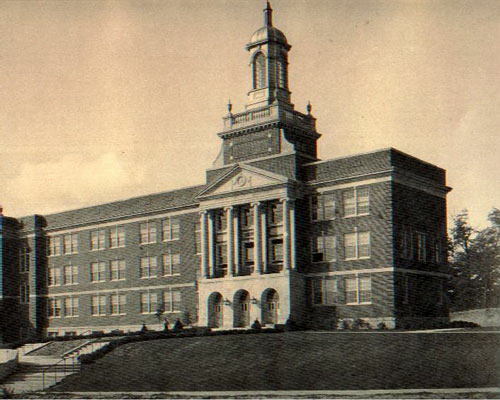 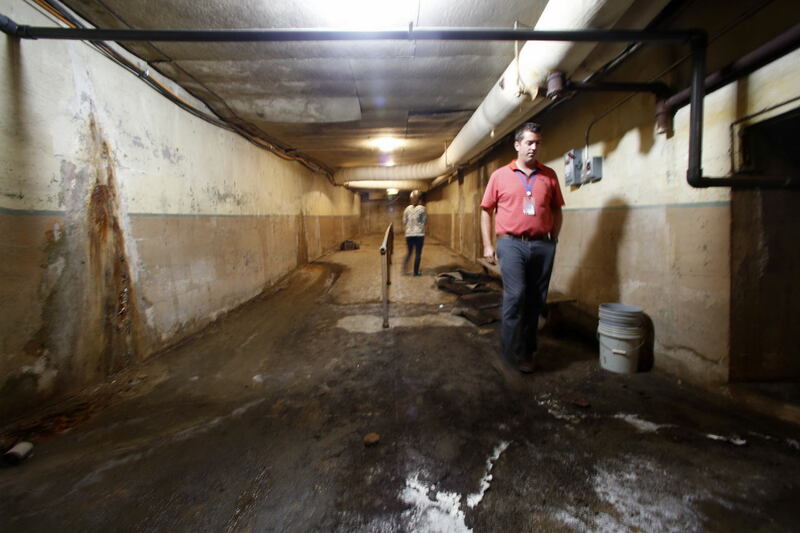 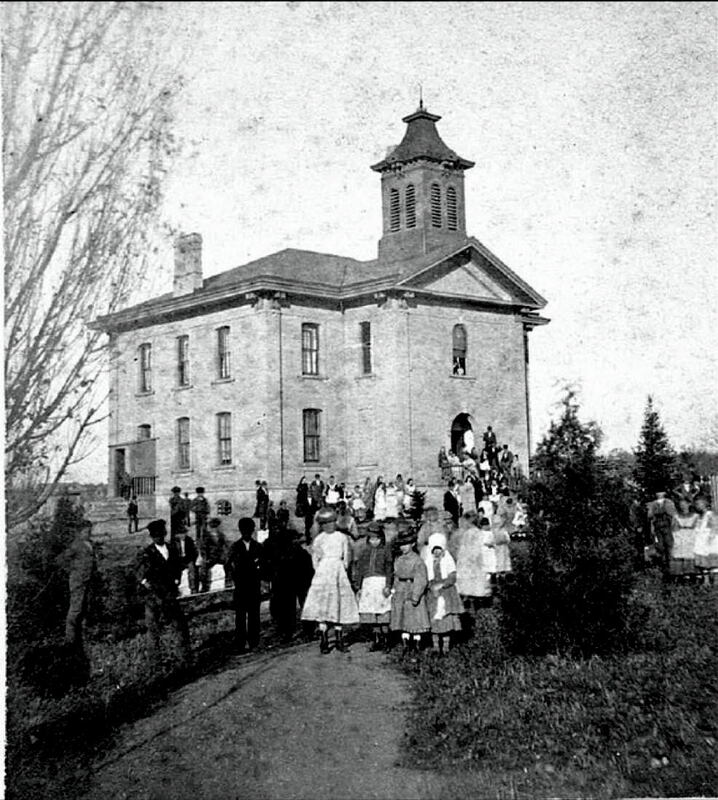 It opened in 1932 with 225 students, all living south of the railroad tracks in the Village. 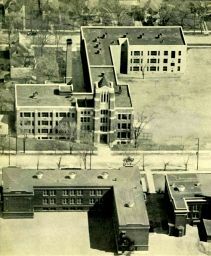 The impressive red brick Georgian Revival style building, designed by the firm of Herbst & Kuenzli Architects, had a tower that became a landmark in the neighborhood. 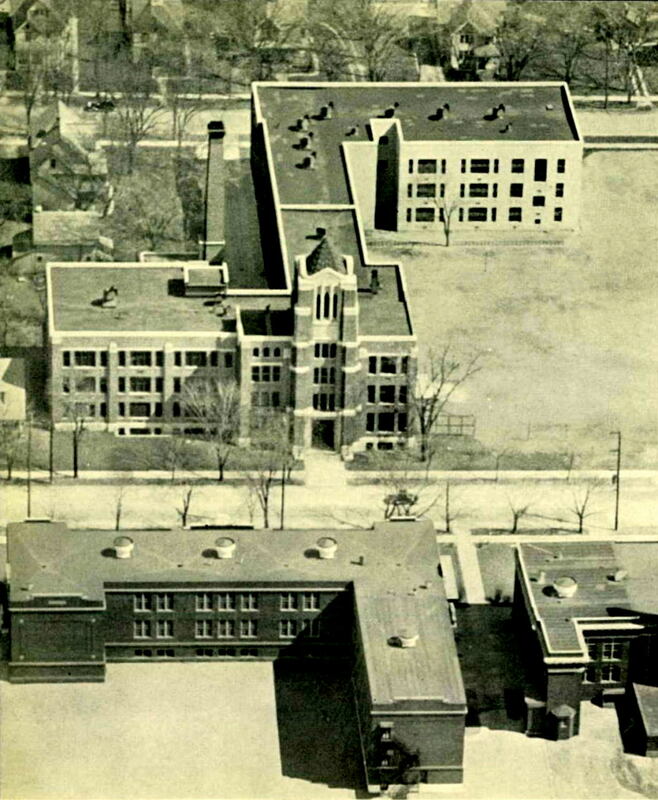 Students at Longfellow and Hawthorne combined in writing a school paper called the Junior Journal, in October 1932, to encourage cooperation between the two schools rather than rivalry. 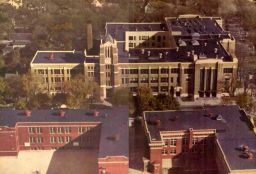 In 1981, the school board voted to close Hawthorne as a school and make the building available for other uses. 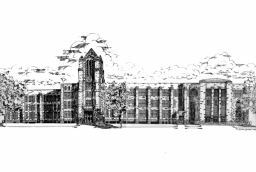 Today it is a private residential building".